It’s easy to get caught up in worrying about the number of calories you’ve burned in a workout, yet the best workouts are the ones that continue to burn calories for hours after you’ve left the gym. The importance of intensity over duration, is not only about maximizing your time and effort, but maximizing your results. High intensity interval training boasts fantastic benefits, including lower blood pressure and cholesterol, improved aerobic capacity, and increased metabolism. This means you’re burning fat without losing muscle, and slowing down the aging process. Many studies have proven that exercise intensity plays a major role in overall health, and is equal or superior to longer bouts of sustained exercise. However, getting into that anaerobic zone, where you feel as though your heart is pounding out of your chest is not surprisingly, very uncomfortable. High intensity interval training is not for everyone but is something that most people can work towards. It’s recommended for people who have a moderate level of fitness training, and are cleared by their physician for vigorous exercise. 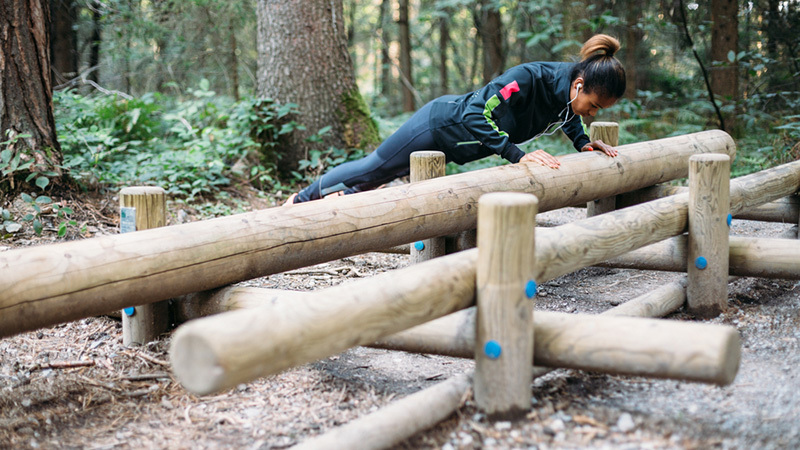 So, if you’re just starting out on your fitness journey, your first step is to just get moving before jumping into this next-level challenge. Prior to any high intensity training, it’s important to warm up for at least 10 minutes to avoid injury. For those of you who are ready to kick your fitness up a notch, here are two super-simple, easy HIIT workouts to incorporate into your routine. 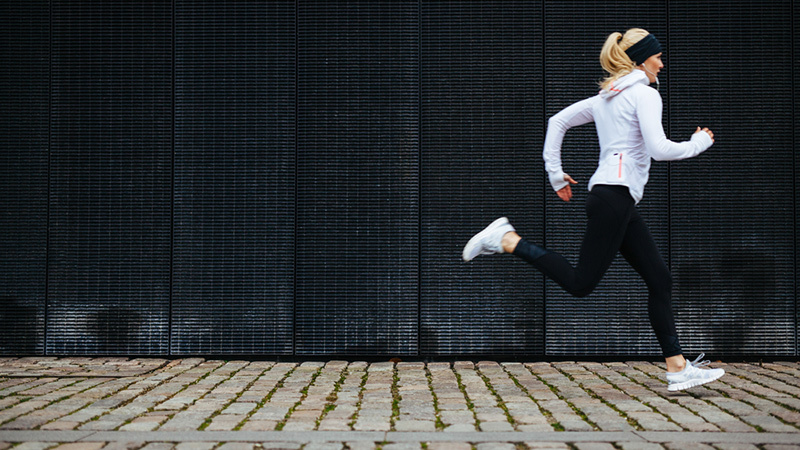 Researchers in Denmark concluded this style of interval training lowers blood cholesterol, lowers blood pressure, and increases endurance and speed in less time than their fellow runners who ran at a sustained pace for five kilometers. Apart from finding positive physiological benefits, the participants also described this method of interval training as fun and enjoyable! …For five rounds, without rest. The 10-second sprint should be an all-out exertion and should feel very challenging and uncomfortable. Next, take a 2-minute break, and then repeat for another 5 rounds. In total this will only take 12 minutes, and should be done twice a week, allowing your body to fully recover between sessions. Tabatas can be done anywhere, with any exercise, no equipment necessary. It’s a great way to finish off a workout, and can also be used for a quick sweat session on a busy day. The main focus is effort – 20 seconds of truly exerting yourself, followed by 10 seconds of rest for 8 rounds. One set of Tabata will take four minutes. If you would like to do multiple sets, take two minutes of rest between each set of 8 rounds to recover. A forearm plank, bodyweight squats, or push-ups are great simple options to start with. Begin your timer and engage every muscle in your body as you push yourself for 20 seconds, take a 10 second rest, and then repeat for 8 rounds. If this seems too tough, try alternating between two exercises, for example: 20 seconds of bodyweight squats, 10 seconds of rest, then 20 seconds holding a forearm plank and switching between the two. As you progress, you can challenge yourself by adding weight, turning an exercise into a dynamic or explosive movement, or by changing the speed of the exercise. Tabata gives you the structure to create some unique, personalized, and fun workouts. Get creative with exercise combinations, and explore new ways of pushing yourself. Although 20 seconds of work may not seem very long, it will feel that way when you’re having trouble catching your breath. But just remember, when it comes to interval training, you will get out what you put in. So, hustle hard, recover well, and don’t be afraid to shake things up!